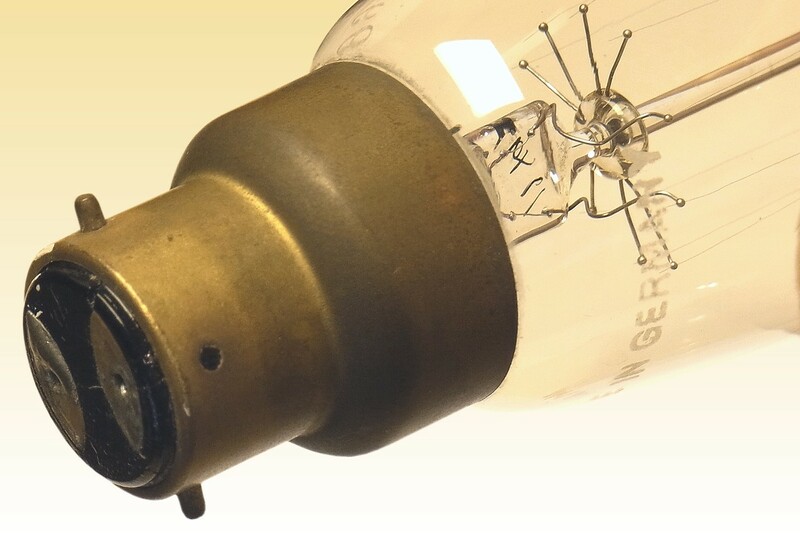 The original tungsten lamps were developed in Germany under Auer (Osram), and in Austria/Hungary under Just & Hanamann (Tungsram). Production was quickly established in Britain by Sir Hugo Hirst, chairman of the British General Electric Company, thanks to his close ties with Germany as an immigrant of that country. Upon hearing of the tungsten developments Hirst visited his competitors in 1905, and came home with the exclusive British rights to both lamps. At first it was not clear which lamp was superior, or of the patent situation, so Hirst took the astute move to invite his warring competitors to London for negotiations. 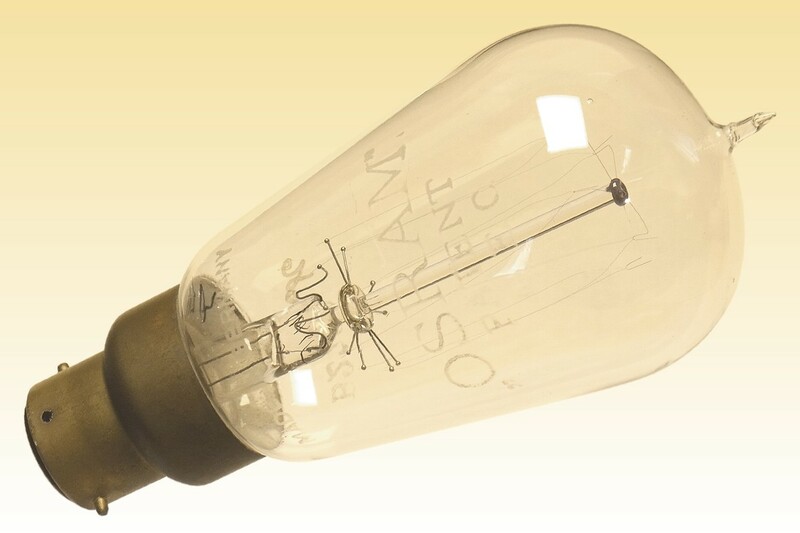 They concluded on 18th October 1907 to jointly form the Wolfram Metal Filament Lamp Works at GEC's Hammersmith factory with three equal shareholdings, in which GEC would produce both the Auer and the Just & Hanamann lamps to identify which was best. At first it was a tiny operation, limited by the need to import all filaments and lack of space, so it was decided to build a new Tungsten factory nextdoor. This opened in 1909, by which time it was clear that the Auer lamp was superior. While waiting for production to ramp up, in 1910 Hirst ordered one million GEC-branded Auer lamps from Berlin, of which this is one surviving example. Owing to the brittleness of the early sintered tungsten filaments, they are formed in five separate hairpins and attached to the lower supports by arc-welding. They are mainted under tension by the elasticity of fine hook-shaped molybdenum support wires at the upper end of the mount. 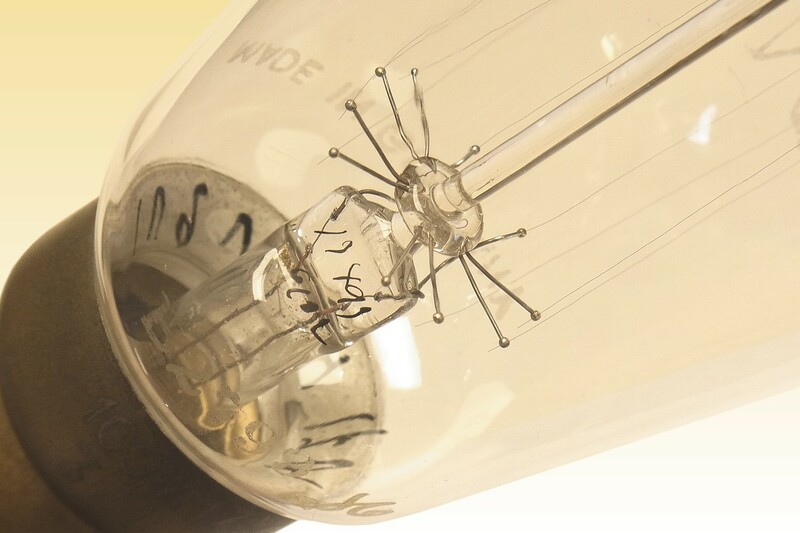 The glass-to-metal seals of the stem are formed to platinum wires, and the lamp has been evacuated via the characteristic tip at the crown of the bulb. 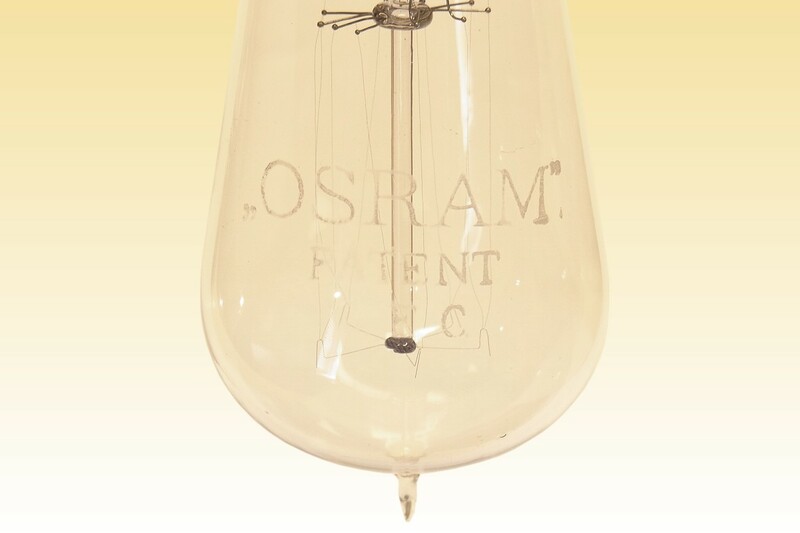 References: 1) Osram-GEC Tungsten Lamp Catalogue, 1910 UK. 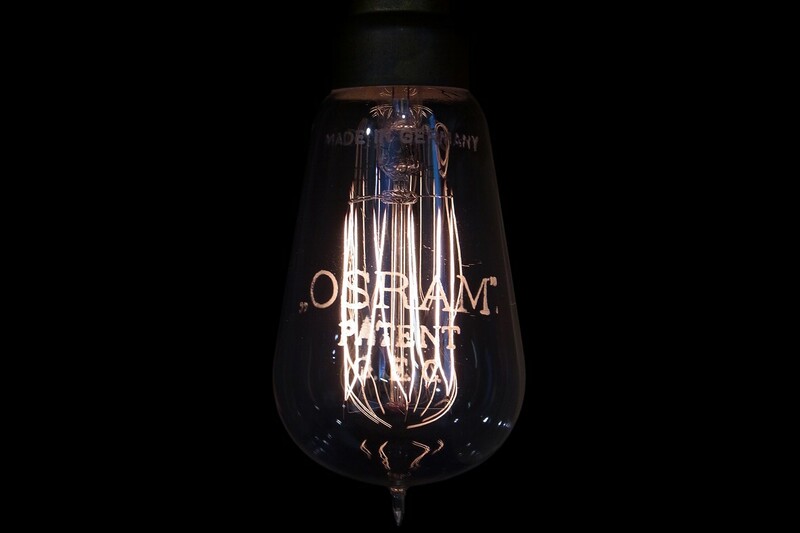 2) History of the GEC Robertson-Osram Hammersmith Lampworks. 3) 100 Years Osram, Osram Centenary Book 2006, pp.25, 63-64. 4) Death of a Lightbulb, J.Otten, publ. pp.51-52, 63, 287. 5) History of the General Electric Company of England - Hugo Hirst (website sadly closed : reference via Internet Archive Wayback Machine).